New Delhi: Global Precision Agriculture leader, Trimble Inc. while expressing its support to the Indian government’s mission of doubling farmers’ income, has said that it is pursuing a three-pronged strategy to increase the adoption of precision agriculture in India in order to boost farm productivity. The company said it is in discussions with tractor Original Equipment Manufacturers (OEMs) to bring its precision auto-steer and auto-guidance technologies to Indian farmers. Trimble’s auto steer and auto guidance technology uses GNSS-based navigation to accurately guide a tractor’s movements in the field, which leads to better sowing of seeds and harvesting of crops; in turn increasing crop yields of cash crops like potatoes by as much as 30%. Under the second element of its strategy, Trimble is exploring rental and pay-per-use models with select in-country partners for its precision agriculture tools. These innovative business models make it much more affordable for Indian farmers who typically have small farm holdings (less than 2 Hectares) and are unable to make capital investments in cutting-edge Precision Agriculture technologies. Furthermore, the company aims to expand its distribution of laser-levelling solutions to cover major Indian states by 2020. Currently, Trimble has presence in five states across the country, including Punjab, Haryana, Western UP, Rajasthan and Maharashtra. According to Trimble, Precision Agriculture tools help farmers reduce their input costs, including water, fuel for tractors, seeds, fertilizers and insecticides or pesticides. Simultaneously, these tools can lead to 20-30% gains in crop yields. 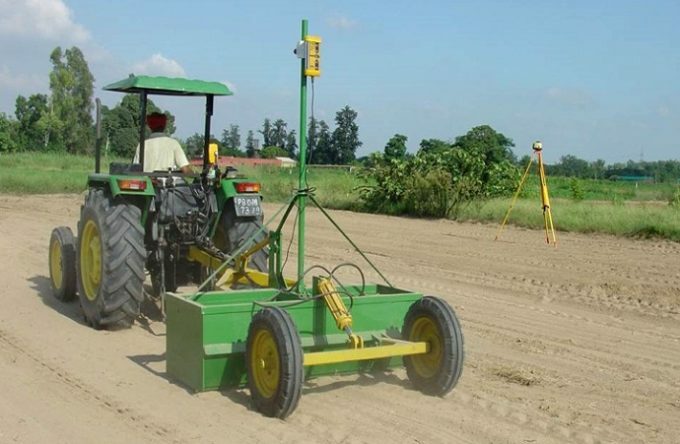 The company offers two key products from its portfolio, Trimble Laser Land Leveller and GreenSeekerhandheld device to farmers and agriculture scientists in India. Trimble’s Laser Land Leveller is a high-precision laser-based land levelling system that helps farmers level their farmland in order to prevent wastage of water. According to experiments conducted at S.V. Patel Agricultural University, Meerut, the use of Laser Land Leveller resulted in a higher yield of rice and sugarcane by 7-8% and 12-13% respectively. The tool also resulted in water savings of 20-30%. Further, the use of Laser Land Leveller also reduced time required to level land and saved fuel consumption of tractors by up to 24%. Trimble’s GreenSeeker Handheld is an optical crop sensing device that is used to measure and quantify the health of a crop. Readings taken with the device can be used to make objective decisions regarding the amount of fertilizer to be applied to a crop. This leads to more efficient use of fertilizers, which benefits the farmers as well as the soil and water ecosystem. As per a 2017 report by FICCI and Grant Thornton, the farm equipment market in India is expected to reach USD 12.5 billion by 2022. The overall level of mechanisation in India is less than 50 percent, as compared to 90 percent in most of the developed countries, indicating a significant growth potential.